The album's eight tracks cut a wide swath from catchy and convulsive fuzz-rock freakouts through mid-tempo mood-setting jams to the just plain strange. The album is an artful sonic journey, a stoner-rock album for the thoughtful, and a passionate assertion that rock and roll has creative realms yet to explore. 180gm CLASSIC BLACK vinyl pressing of "Helios Rising", comes with poster insert & MP3 download card. Beautiful CD edition of 'Helios Rising' in mini 'old school tip-on' jackets, includes poster insert and alternative gatefold image, different from the LP version. 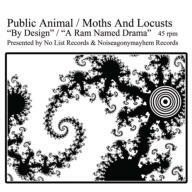 Moths & Locusts / Public Animal Split 7"
Limited edition 2015 tour 7" split single with Ian Blurton’s new project Public Animal available in 3-coloured vinyl options (100 black/150 white/ 250 white with black splatter) and 3 cover variations, all packaged and shipped randomly. Seven Potatoes Damo Suzuki Live in Nanaimo - 2XLP! Two slabs of vinyl dripping with with psychedelic fuzz that will take you on a journey to the unknown sectors of your subconscious, take root, and grow a garden of pure energy. Space rock with one of the greatest vocalists of all time DAMO SUZUKI!!! 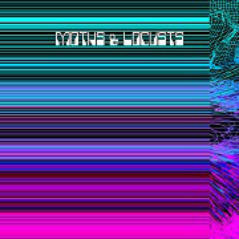 Two versions of an epic heavy psych jam. Super limited edition of only 100 numbered copies, on heavyweight 180gm 'Mars Red' vinyl, with download card, photo insert, sticker and original sci-fi story "The Escape From Sector C" by Valentina Cardinalli. Te M&L side features concentric grooves, ie 2 grooves instead of 1, drop the needle and you'll get one of the 2 versions of Nero...you never know which one you'll get! Pressed on "Life Saver Assortment" vinyl!! Vinyl sold-out. Digital download only. Our first release, limited to 50 copies of MID-DAY SUN vinyl (long sold out) and 200 copies on INVISIBLE vinyl (limited copies left). 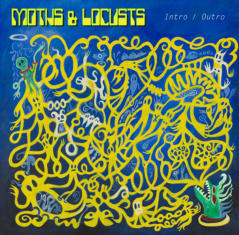 Includes the tracks "Avulsion" and "Theme From The Lurker", plus "Nero's Eulogy" (download only). 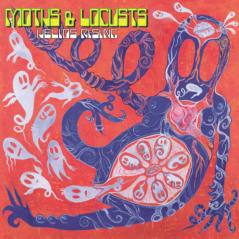 First and last release by the original line-up of M&L.